If you are reading this you are probably an exchange student or a new employee to Siemens wind power or Bestseller who needs more information about the city of Herning in English. Herning has a population of about 50,000 people. It is the 11th most populated city of Denmark. You can get around easily with a bike and the city has everything one needs when living in an urban area. The most important thing when one is planning to move to a new place is to find a place to live. 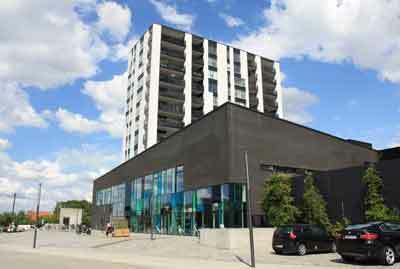 Below are some links which I hope will help you to find accommodation in Herning and suburb fast and easy. I would suggest to start searching for a place 2 or 3 months before your arrival to make sure you will find a place suitable to your needs. Join these Facebook groups where people post to rent out or in. To expand your network and to find friends you can join some expat networks which regularly meet in different events organized by expats. Below are some links which will direct you to international networks in and around Herning. Newer Post Come to EU it’s huge! Older Post We do not want to seek asylum in a country where we are not welcomed.